Staircases provide means of movement from one floor to another in a structure. Staircases consist of a number of steps with landings at suitable intervals to provide comfort and safety for the users. For purpose of design, stairs are classified into two types; transversely, and longitudinally supported. § Simply supported steps supported by two walls or beams or a combination of both. 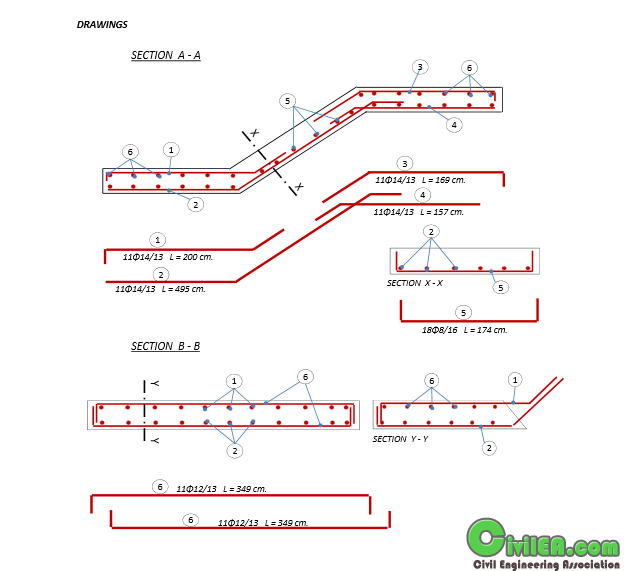 § Steps cantilevering from a wall or a beam. § Stairs cantilevering from a central spine beam. a. Beams or walls at the outside edges of the landings. c. Landings which are supported by beams or walls running in the longitudinal direction. d. A combination of (a) or (b), and ©. e. Stairs with quarter landings associated with open-well stairs.